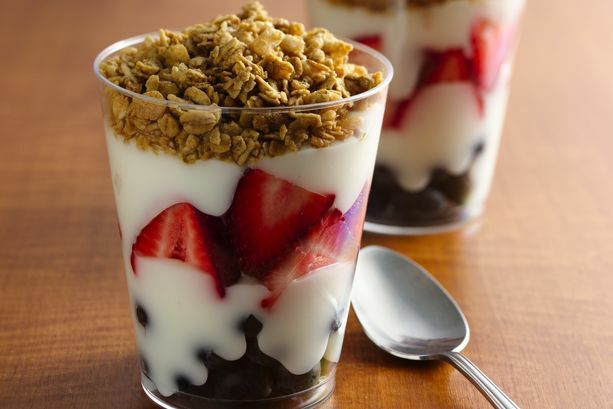 Add blueberries to a clear 12 oz beverage cup; pipe in 3 oz yogurt. Add strawberries, then the remaining 3 oz yogurt. Top with granola, cover (with domed lid) and keep cold for serving. Made 1 day in advance, just keep granola separate. Hold under refrigeration no longer than 2 days. Yoplait ParfaitPro is a registered trademark of YOPLAIT MARQUES (France) used under license.